your article was very helpful to me. But i am facing a problem when dealing with JTabbedPane. I am unable to drag when i place a JTabbedPane in the Panel. Please help me. 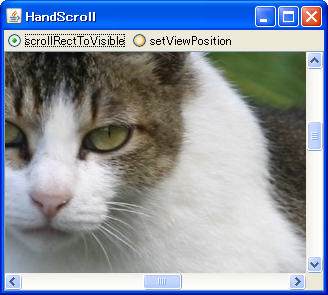 This HandScrollListener(DragScrollListener) is not intended for the nested Component.